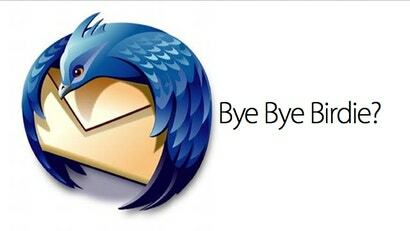 TechCrunch has published an internal Mozilla email which says that the company will all but abandon its Thunderbird email client to the open source masses. Is this the end for the world's biggest open-source email client? We're not "stopping" Thunderbird, but proposing we adapt the Thunderbird release and governance model in a way that allows both ongoing security and stability maintenance, as well as community-driven innovation and development for the product. This will mean an eventual shift in how we staff Thunderbird at Mozilla Corporation — we are still working out details, but some people will likely end up on other Mozilla projects. As that last sentence notes, the plan is still very unclear and Mozilla wants to open it up to the public for discussion before the final plan is settled in September. The announcement was originally set for Monday.